March 2nd is Dr. Seuss’s birthday and what better way to celebrate than a special visit from the Cat in the Hat. 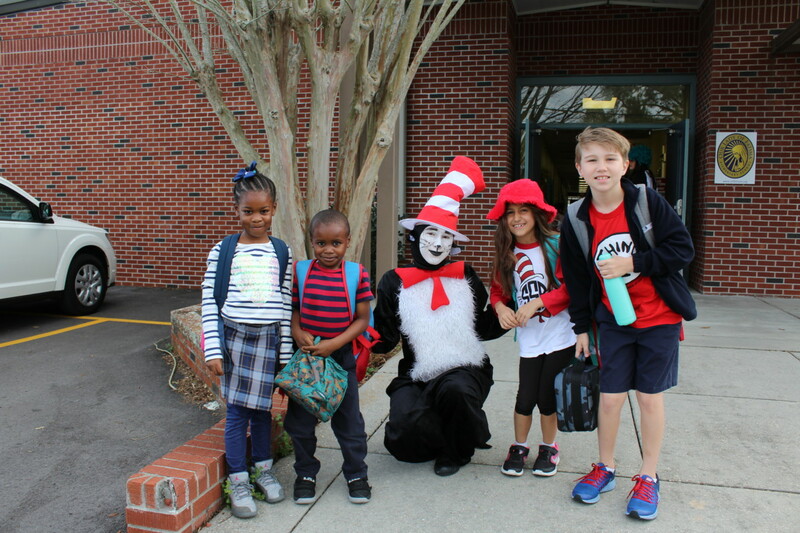 The Cat in the Hat greeted students as they arrive to school. Students were encouraged to wear funny hair and clothes similar to the characters in the books. “Dr. Seuss’s made a major impact on learning, creativity, and make-believe. We wanted to highlight his life and remember the role he plays in teaching children the joy of reading,” said Principal Cindy Hahn.